Good news. Remember in a previous Bourjois post I mentioned how disappointed I was with the pot eye shadows? Well, they have only gone an improved their formula and now they are beautifully pigmented with a softer texture, hypoallergenic, paraben and fragrance free. There are 22 shades and here are most of them swatched. There are 4 illuminating shades, 4 on trend shades, 8 sculpting shades and 6 glittery shades. I attended a Bourjois blogger event on Saturday where we had the gorgeous Cassie Lomas demonstrate a couple of looks for us using the little round pot eye shadows. I will always attend the Bourjois events purely because of my love for 10hr sleep effect foundation. On another note, Cassie Lomas is launching her Makeup academy in Manchester which opens in January 2011. *Sigh* I wish it was in London, nevertheless I would love to do a weekend course with her. The new eye shadows have the date of which Bourjois was founded, 1863! The glitter shades are easy to differentiate from the others as the lid has sparkles on them. I have swatched them dry and wet, some of them need to be wet to achieve more intensity but overall they are very pigmented. The only downside is some of the glitter shades get a little powdery, but nothing too annoying. I love all the shades I picked! My 3 favourites are 04, 08 and 74. 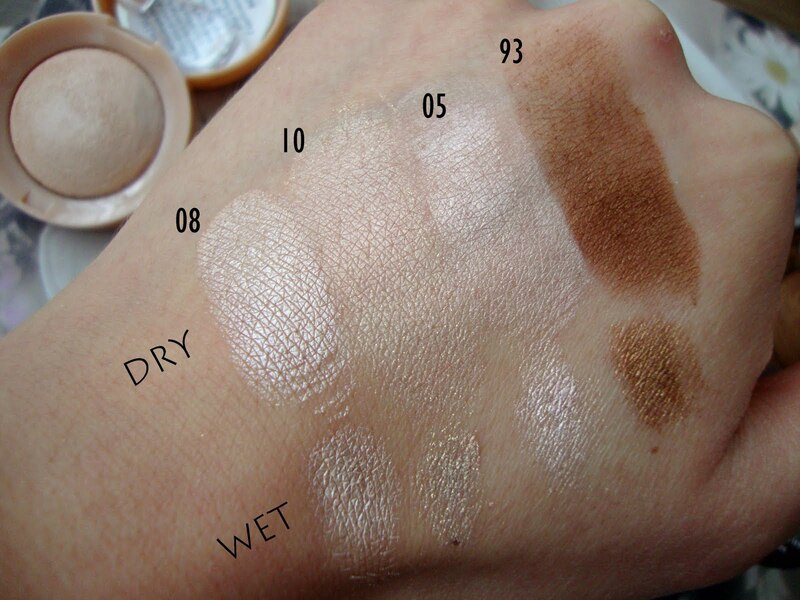 08 Beige rose delicate - The shimmery cream shade is the most pigmented and striking for me, it's great for all over the lid on it's own or a great highlight. 74 Brun profund with blue accents - The plummy brown shade which speaks for itself. 04 Noir precieux: with a purple tinge - The intense purple which leans towards black. The best way to use this one is wet as the metallic finish is so stunning. Below I used 08 all over my lid and as a highlight, I used 04 wet as a liner and lightly dusted a bit of 93 in the crease. Next time you are at a Bourjois counter swatch 08 and surprise yourself! Next on my Bourjois wishlist is the beautiful vintage packaging, I am hoping they will release a collection which goes back to their roots! What's your favourite little round pot from Bourjois? Disclaimer: Products mentioned were provided for review purposes, I was not paid and I am not affiliated with the brand. honest opinion as ALWAYS! I tried them all in store and wasn't that impressed. I bought #10 though. Colour isn't pigmented :( but as it's got gold/yellow/white glitter in it, it's great for just making the eyes sparkle. Also brilliant brightener. #11 looks amazing, may have to try that one! 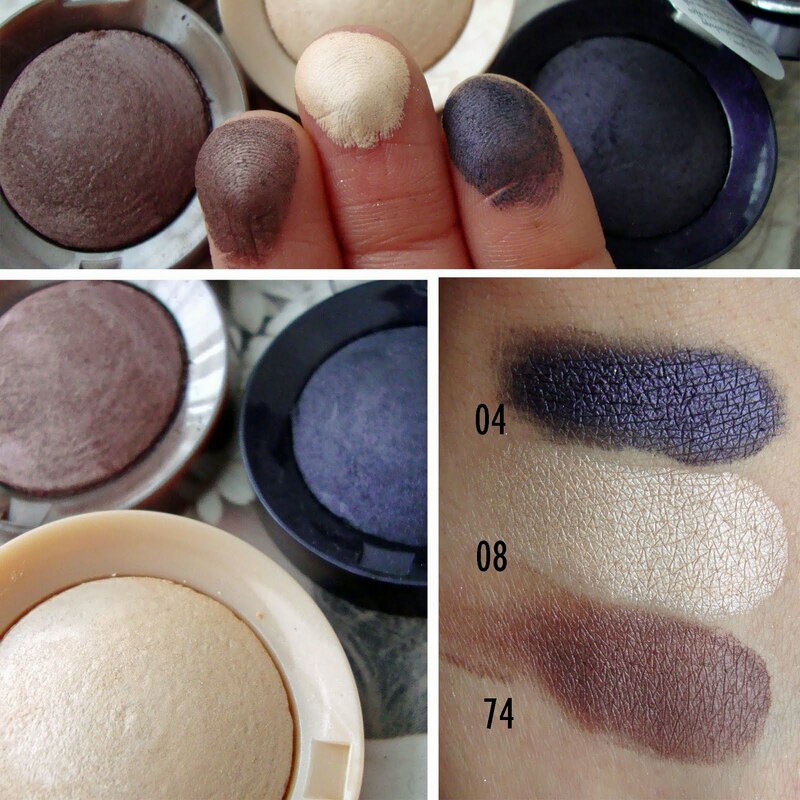 I have never really been taken with their little round pots but I have the old no.4 e/s which I like the colour of but hardly use so I will definitely check out the new formulas as your swatches look lovely. For some reason, this brand doesn't usually appeal to me at all. 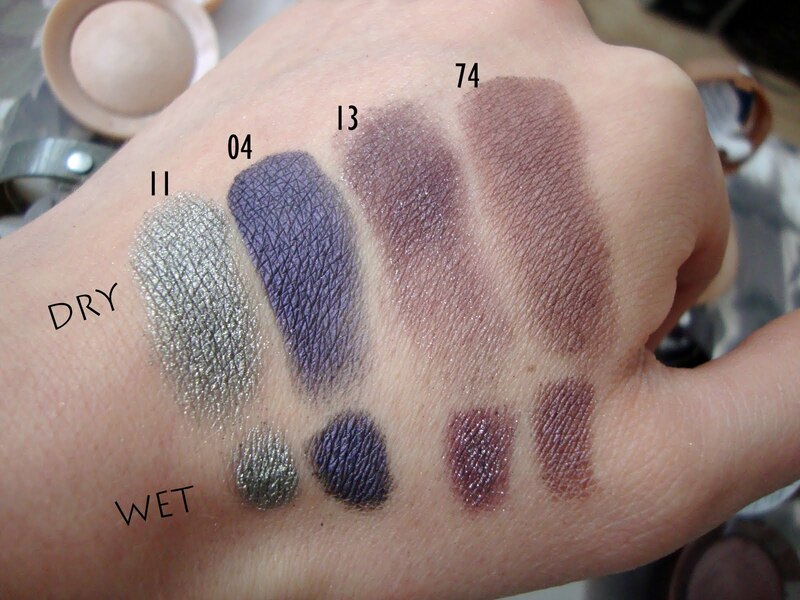 However - the shadows look really gorgeous swatched - especially the second picture - I love the 3 pinky/champagne shadows in the middle row. Love the eye make up look you created - the 04 shadow looks amazing as a liner. I love Bourjois! I've practically grown up with their little round pots of blush, lol! lovely colours, that is good to hear as the single eyecolours were always too hard so you struggled to get any product on your brush, but their old trio selection used to have a fantastic formula so looking forward to trying these! I didn't think the "old" ones I have are that bad. Maybe it was just me.. I love the emerald green and all the purples of course. What a coincidence, just last night I was contemplating how I need a shimmery cream base. I don't know about the formulation, but i have noticed from your previous posts that their shades seem very flattering. That blue in the center of the first swatch pic is AMAZING, wow! Some of the other colours are so nice too... I may have to look into these! The neutral colors are gorgeous! Great swatch pics. I have never tried this brand. Everything looks gorgeous! You are such an artist!! These all look amazing!! I wasn't impressed with these eyeshadows in the past, but I'll have to revise my decision! 08 is also my favourite! such a pretty shade. Love the look of number 11 & 74. There vintage collection looks so pretty! these colors look so pretty! 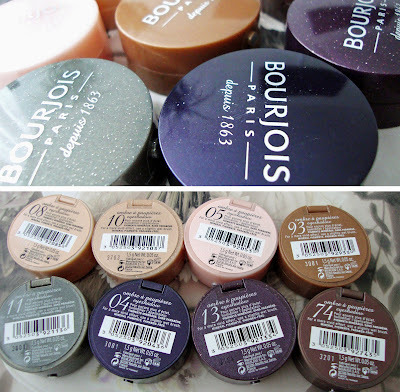 I bought my first Bourjois blush when i was 15 and always used them, i was never a fan of the eyeshadows tho ! I cannot wait to try the improved formula, i remember as a teenager to always use their mascaras and blushers ! Always the blushes. Love them. I've only got a couple of the eyeshadows though, interesting to hear they have reformulated.